Carne asada tacos feature tender marinated + grilled skirt steak, grilled tortillas, and a plethora of your favorite taco toppings. Grilled carne asada tacos combine SO. many. of my favorite things. Tacos (duh). Grilling (duh). Guac (duh). Not-pictured-here margaritas (duh). I think I smiled all through dinner. 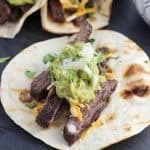 I love tacos for their customizability, as you can easily brown ground beef/turkey or use up leftover chicken for the protein base, or prepare something special like skirt steak on the grill. And did you forget to buy cheese or pico? Just double down on salsa + guac and all’s well. What’s funny is I *never* sync up us eating tacos with it being Tuesday. Taco Tuesday is never a thing over here. But not today! I’m sharing these babies on a Tuesday. Look at all this planning. Once the steak was finished grilling, I threw a few tortillas on (flipping once) to give them those toasty bits and edges I obsess over. Confession: I kept a few tortillas on the grill for a bit longer than some of the ones in these pictures. There’s something about grilled carb-y food that takes something standard to the next level! I won’t tell how many grilled pizzas we’ve eaten in our short time in the house. Place whole skirt steak in a container (it's okay for the steak to be folded over on itself to fit in there). 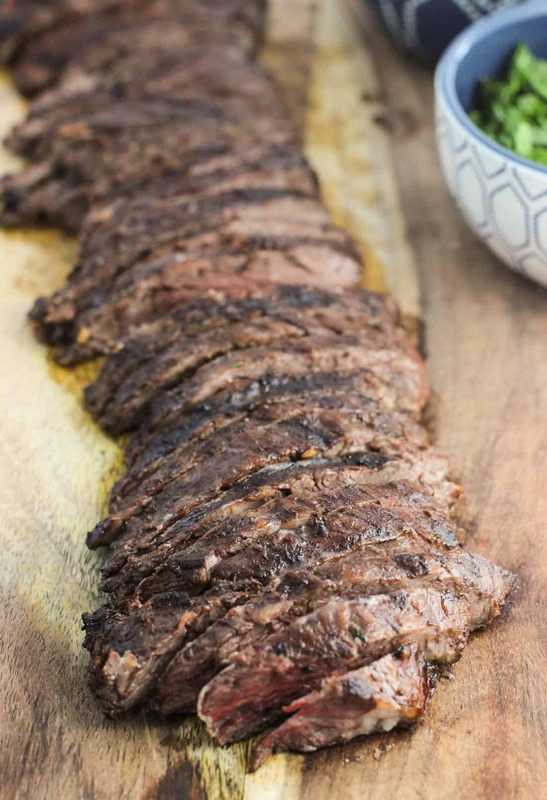 Combine all marinade ingredients and pour in container over skirt steak. 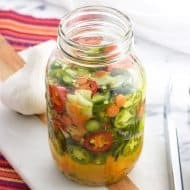 Cover and refrigerate for preferably 2 hours, but 1 hour will work if you're pressed for time. Brush the grill grates with oil before you add the steak. Heat the grill to medium-high heat (in the 400-450 degree F range). 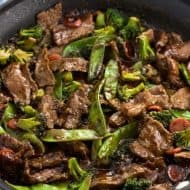 Once heated, add the steak in a single layer and allow it to cook with the lid closed for about 7-10 minutes, before flipping over and cooking for another 7-10 minutes on the other side. To check for doneness, insert an instant read meat thermometer about 1/2" into the thickest part of the steak. You'll want the temperature to reach 145 degrees F for about a medium-rare doneness. Because skirt steak is a thin cut of meat, you don't have to worry too much about the temperature rising after it's removed from the grill. Take the steak off the grill and allow to sit for just a minute or two. Meanwhile add tortillas to the grill and let them heat until grill lines begin to form. Flip and repeat on the other side, and then remove. Using a sharp knife, cut the steak into thin slices diagonally against the grain. 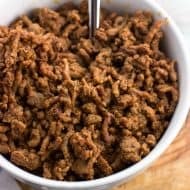 You can use these strips as-is for the tacos, or cut into smaller chunks to cut down on any chewiness as you bite into the tacos (personal preference!). 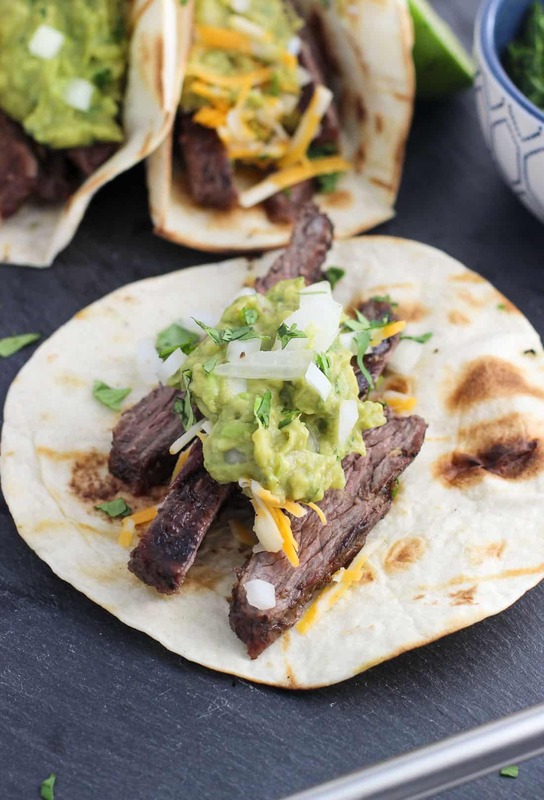 Top tortillas with carne asada and all your favorite toppings. Prep time contains 2 hours of inactive time (letting the meat marinate). I used cracked black peppercorns (vs. ground) for a bold flavor. To "crack them", I placed 1 tsp of whole peppercorns on a paper towel and folded the paper towel over a few times to completely enclose them. Then I hit the packet with a meat tenderizer until the peppercorns were 'cracked'. You can also wrap them in aluminum foil or hit them with the flat side of a kitchen knife. 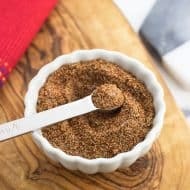 Marinades with acidic elements like this one (citrus juice, vinegar) are prone to messing with the texture of meat if it's left marinating for too long - think all-day or overnight. I suggest sticking with around 2-4 hours (or a little longer) to prevent the steak becoming mushy. 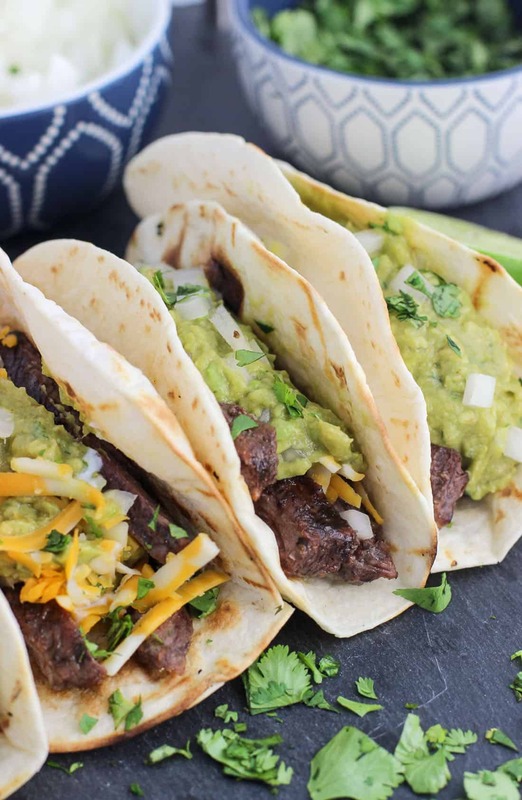 Nutritional info is an estimated based upon one-sixth of the steak, 2 taco-sized flour tortillas, 1 tbsp shredded cheese, and 1 tbsp guacamole per serving. 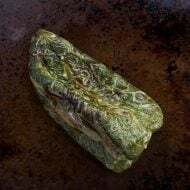 Since recipes that include a marinade are hard to calculate nutrition for, I've included one-quarter of the marinade ingredients into the nutritional calculation as an estimate. That skirt steak is mouthwatering! Taco any day works for me! haha we definitely have tacos probably once a week but I never sync it up with tuesdays! But I love saying taco tuesday! lol These look delicious!! I haven’t made tacos in SO long…I always tend to have fish on Tuesdays…Salmon Tuesdays perhaps?? Salmon Tuesday works for me!